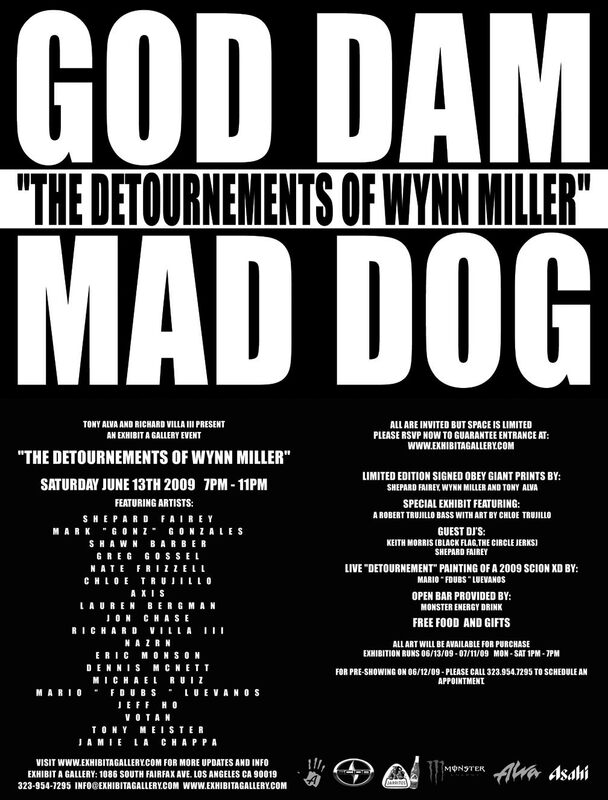 THE DETOURNEMENTS OF WYNN MILLER! JUNE 13TH! 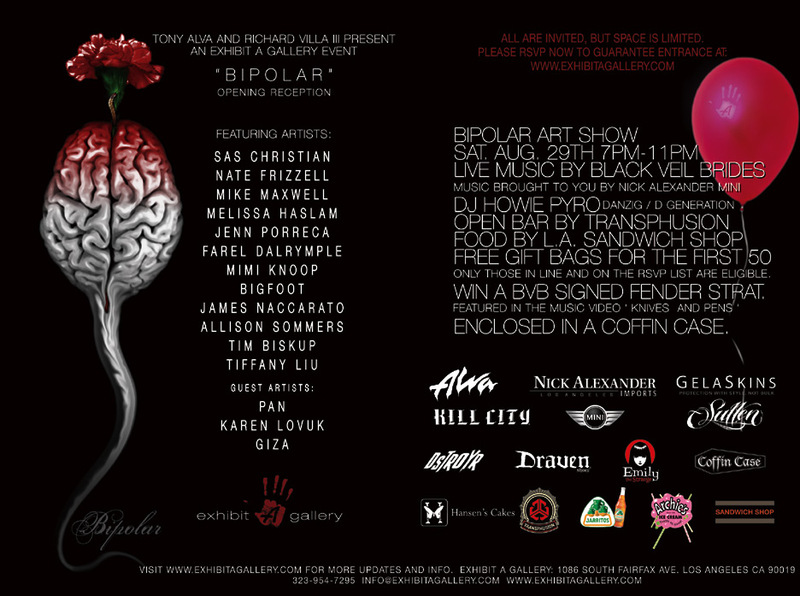 MUSIC BY : DJ AL G .
BBQ Food by : S . V . D .
EXHIBIT A GALLERY : 1086 SOUTH FAIRFAX AVE.
ALVA LOS ANGELES’ 2ND ANNUAL TOY DRIVE! WE ARE HAPPY TO ANNOUNCE THE KICK OFF FOR OUR 2ND ANNUAL TOY DRIVE FOR THE CHILDREN’S HOSPITAL OF LOS ANGELES! THE TOY DRIVE WILL START ON SATURDAY NOVEMBER 22ND AT 11AM AT ALVA LOS ANGELES AND WILL END ON SATURDAY DECEMBER 13TH AT 7PM. TO THE CHILDREN’S HOSPITAL OF LOS ANGELES. IN RETURN FOR YOUR KINDNESS, ALVA LOS ANGELES WILL GIVE YOU 10% OFF YOUR PURCHASE WHEN YOU DROP OFF A TOY AT OUR SHOP. 1. Donate ONLY new toys in it’s original packaging (Min. Tony Alva’s Totally Bitchin’ Nigh of the Dead! Totally Bitchin’ Night of the Dead! Take a look at our alter! taken right before the drinking hour.. or should i say hours. Hosted by the Legendary Tony Alva himself. If you didn’t have fun on Halloween, than you would of on The Day of the Dead or should we say Dia de Los Muerto’s at Tony Alva’s “Totally Bitchin’ Night of the Dead”. Starting the night with an pening art exhibition of artist Votan. The party had a 1980’s costume theme and an open bar serving all night, sponsored by Transphusion! Ultimately a Bitchin’ great time! Located at the Alva Los Angeles Skate Shop on 1086 S. Fairfax Ave.